In September 1994, the Milan Airport in Italy requested 5 passenger boarding bridges from ADELTE; the agreement was signed the same year. 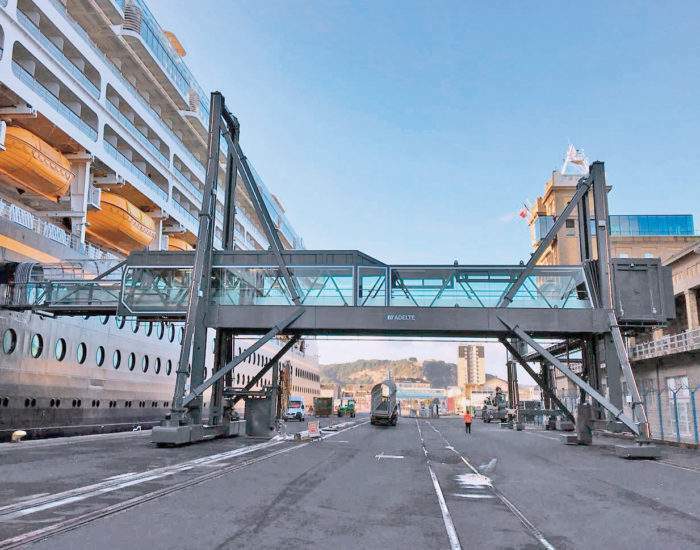 Passenger boarding bridge installation was completed in April 1995 and commissioning took place in October of the same year. 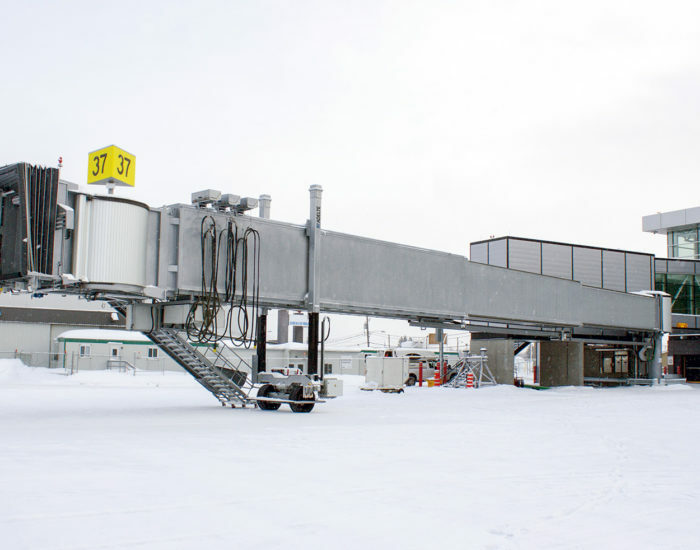 The solution provided to the Milan Airport consisted of 5 telescopic passenger boarding bridges for aircraft access of the Apron Drive 2C-type (two increasing bodies) and 3C-type (three increasing bodies). One of the five passenger boarding bridges features the unique characteristic of allowing docking on the right side of aircraft. 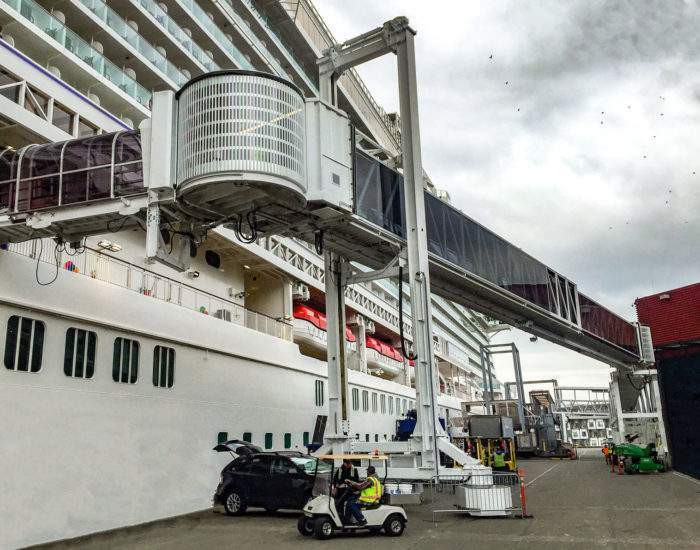 The passenger boarding bridges are also equipped with a PAC system, air conditioning for the aircraft, cooled water central plant and a potable water supply system for aircraft, as well as a lower support for services (400Hz, PAC and VDGS). Additional equipment includes automatic docking guides with VDGS inductive loops (8 centre lines) with sensors on the tarmac. A monitoring system is also included for improved data processing from the passenger boarding bridge to the airport. 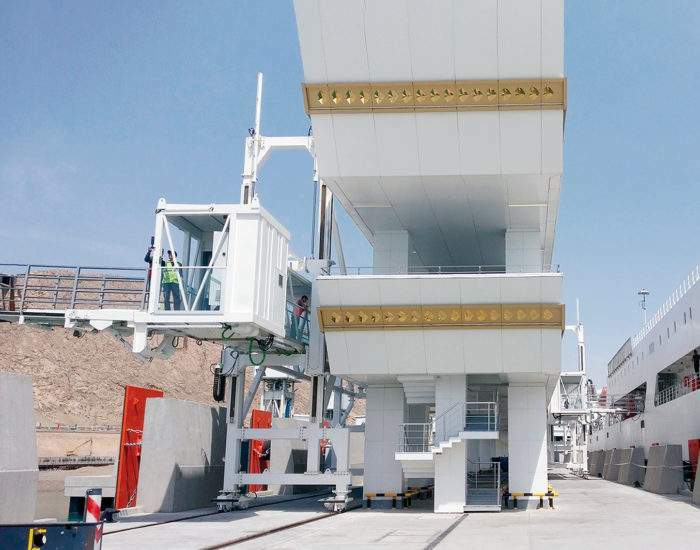 In this case, the lifting mechanism system is electromechanically operated whereas the traction system is hydraulic.